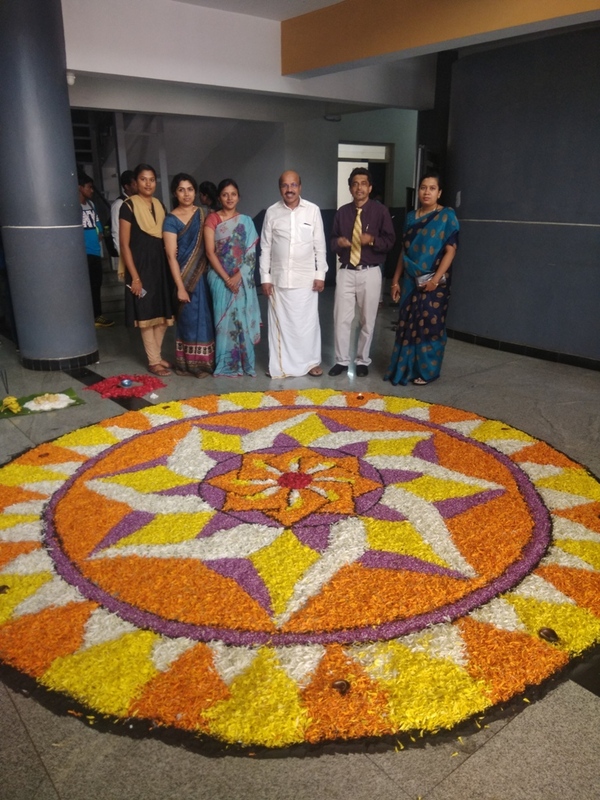 Onam was celebrated at CMR CBS premises on 26thSeptember 2018, involving first year and second year MBA students. Students greeted each other on the occasion. Girl students did pookalam and other floral works throughout the campus. Traditional feast was served to students, staff and the workers on the campus.